Trevor’s post earlier in the week really got me thinking about the idea of the “gut check” in the middle of a change or challenge. There is so often a time of resolve that tests our true desire to get through to the end. We meet a resistance whenever we do anything meaningful. Any project, endeavor, or purposed direction we take on will inevitably go through some stage of resistance or conflict before it resolves. Part of my job with Teen Lifeline is to lead support groups with teenagers. In group dynamics theory, much is made of establishing and normalizing a group and setting goals to get to a certain destination. Those attending the group and anticipate breakthroughs, new relationships, and hopefully a better outlook on life as they complete the group. However, one stage of group formation is often overlooked. In fact, I have seen this stage left out of various group dynamics models. 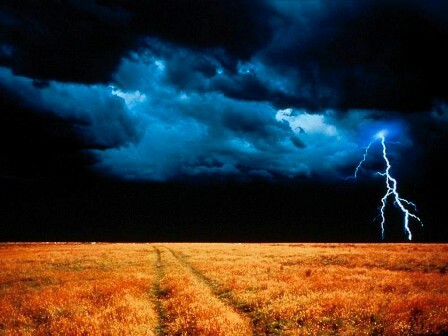 Some call this the conflict stage or even use terms like “storming” to describe the inevitable difficulties a group might face as they go through their life cycle. You see, every group has to go through this “storming” stage to really get any true growth. In other words – when conflict arises in the group (whether it be a personality, ethical, moral, or other kind of conflict) – the group as a whole has to know they can pass through it before any other growth happens. Experts in group dynamics theory say that a group will either live or die based upon the “storming” phase of development. If they are able to manage the conflict they will grow stronger and push forward to a productive phase of development. Yet, if the conflict cannot be avoided – the group will start to stumble and will start to fall apart. This is fascinating to me. For a group of people, the true test of whether or not they will make it all comes down to a moment of conflict and resistance. What is even more amazing is the low level of conflict that can de-rail a good group. Sometimes it is merely a bad mood or a rude comment that can completely destroy a group. It really doesn’t take much. But, it is even more amazing to me when a group can push through it. Once they have weathered the conflict the group is twice as strong. The same goes for us as we push through resistance. If we can find it in ourselves or through the support of people around us to push through – we find ourselves to have new life. So, don’t give up. You might have something big on your mind that simply needs to be started – yet you can’t find the strength or energy to do it. Or, maybe there is a conversation or big change that needs to happen – but your fear is stopping you. What would it look like to be on the other side of that resistance? My guess is that it would feel pretty good to get past it. Yet, I think the reality will be so much better if you do. So, storm through the resistance. Get support. Find someone to talk to. Evaluate your resources. Push through the conflict. Share with us how you have pushed through conflict to find something better. We would love to hear from you! This entry was posted in Liturgical Year, Ordinary Days, Uncategorized and tagged Conflict, overcoming, resistance, storming. Bookmark the permalink.